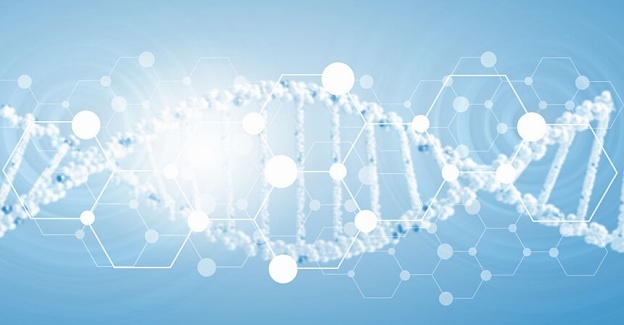 In the past few years, six decades after Francis Crick and James Watson discovered the chemical structure of DNA, scientists have developed CRISPR technologies that prevent disease by pinpointing unhealthy genetic sequences and replacing them with healthy ones. These technologies locate and repair errant mutations to the lengthy, repeating patterns of genetic code that form DNA’s double helix. In so doing, they cure disease. In addition, CRISPR can create optimal outcomes such as increased resistance to illness and other desired physical and mental attributes that make the technology exciting but also slightly scary. In business as in biotechnology, progress requires identifying vulnerabilities — and addressing them before they can cause damage. In less controversial ways, businesses need to be able to detect and modify parts of their supply chains to harness the flexibility and capabilities necessary to manage their spend and drive optimal outcomes. For example, when businesses join digital networks, they gain visibility into the interconnected operations of trading partners. This transparency places into sharp focus any underperforming suppliers, as well as alternative providers that may be better suited to create value and extend competitive advantage. Business and biotechnology also have in common the importance of continual innovation, which often arises from the detection of previously unseen patterns. What could businesses discover — about themselves, their trading partners, their customers — if they, not unlike CRISPR, probed the vast repositories of information available to them for patterns, anomalies and meaning? Every day throughout the regular course of operations, businesses accumulate massive amounts of data chronicling transactions, internal processes and marketing activities. Yet only a fraction of that volume is ever analyzed. What efficiencies go unrealized? What insights remain out of reach? What value lies hidden away amid the endless zeros and ones and the myriad suppliers involved in their digital supply chain? Seeking clarity, business leaders are turning to digital networks and emerging technologies like artificial intelligence. By linking together millions of buyers and suppliers, these cloud-based networks offer newfound insights into previously uncorrelated data, fueling the rise of intelligent enterprises. This digital transformation, aided by cognitive technologies, arrives at just the right moment for business. Faced with ongoing turbulence in the financial markets and trade tensions roiling nearly every industry, senior executives need to stay ahead of the only constant they can count on: the relentlessness of change itself. Enterprises that embrace digital technologies and predictive analytics bolster their ability to manage operational (and other types of) risk. They can anticipate bottlenecks, stockouts or other challenges and rectify them before they dent a balance sheet. Visibility across supply chains can equip businesses with alternative sources and shipping routes, thus diminishing the potential for disruption caused by tariffs, direct material shortages, labor strife or weather disasters. A nimble value chain must remain flexible enough to cut out and replace suppliers as needed, yet supple enough to reward those proven capable of meeting requirements despite unexpected logistical challenges. The transparency made possible by digital networks reveals much more than systemic threats to a business’ operations. It sheds light on crucial quality issues as well. How do a company’s stakeholders — suppliers, customers, employees — interact with its e-commerce platforms? Are these systems intuitive to navigate? Do they “learn” from past use to improve subsequent activity? Do they integrate data from related systems into a unified interface? What do users cite as their “pain points”? Or does the company even ask? One cannot fix what one fails to measure. That’s why intelligent enterprises increasingly take the pulse of their stakeholders via sophisticated experience management capabilities, which capture and analyze their feedback so that business leaders may promptly act on it. Here, too, CRISPR technologies provide an instructive parallel. These advanced medicines hold out the promise of a substantially improved quality of life for untold numbers of people worldwide. By literally rewriting the faulty patterns within DNA that cause disease, CRISPR stands poised in years ahead to alleviate suffering and reshape the human experience for the infinitely better. Meanwhile, the world of business takes inspiration from that of biotechnology, by upgrading supply chains with new patterns and insights — and by infusing new skills and capabilities into its very DNA. As general manager of SAP Ariba, Pat McCarthy is responsible for the go-to-market strategy, sales performance, and operations of the SAP Ariba field organization globally. On a deeper level, he leads SAP Ariba’s effort to understand customers’ goals and marshal the power of digital transformation to help meet or exceed them. Since joining SAP in 2005, he has held a broad range of executive roles, including successfully leading the SAP Ariba North American region and various teams responsible for mobile and other emerging technology platforms. Prior to joining the technology world, Pat practically grew up in supply chain and procurement. He spent 11 years at PepsiCo and its subsidiary Frito-Lay, Inc., where he led teams in warehouse and fleet management; distribution operations; manufacturing and supply chain planning; and optimization. Pat is a native Chicagoan and graduated from Elmhurst College. He sits on the board of Chicago Tech Academy, a charter non-profit for Chicago high school students, and supports global charitable endeavors through Kiva.